Paradox Company - Svihla V., 1999, Folia Heyrovskyana, Supplementum 4: Revision of the subgenera Stenaxis and Oedemera s. str. of the genus Oedemera (Coleoptera: Oedemeridae). 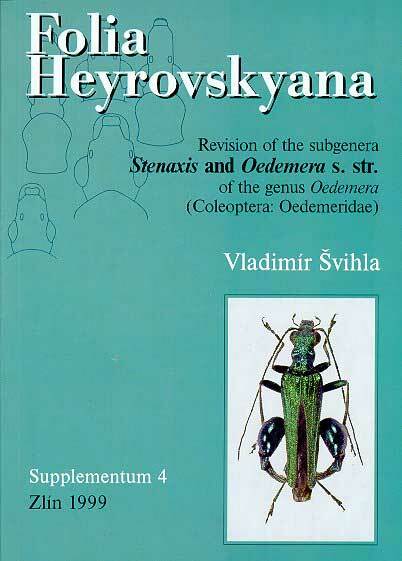 Svihla V., 1999, Folia Heyrovskyana, Supplementum 4: Revision of the subgenera Stenaxis and Oedemera s. str. of the genus Oedemera (Coleoptera: Oedemeridae).